Construction and real estate companies use facility management software to manage the maintenance of buildings, properties, or technical infrastructure. By using this type of software, companies ensure the safety and the wellbeing of their tenants, while also monitoring maintenance activities and employee productivity. Facility management software helps companies optimize the human and material resources required for facility maintenance. Facility management software uses technical documentation created with CAD and PLM applications, making seamless integration with these types of solutions important. Facility Management reviews by real, verified users. Find unbiased ratings on user satisfaction, features, and price based on the most reviews available anywhere. IBM TRIRIGA delivers an integrated workplace management system to increase the operational, financial and environmental performance of your facilities. Improve facility utilization Provides facility planning, management and flexible space reservation management to ensure the most effective utilization of real estate assets. Maximize capital projects Offers advanced, collaborative project management capabilities that help you identify project risks and benefits to drive on-time, on-budget projects. Reduce energy costs Use analytics and benchmarks to prioritize energy-savings projects and to trigger automation that helps you achieve and exceed energy reduction goals. Reduce facility operations Track budgets, costs and schedules for more efficient facilities maintenance; centralize move requests, management approvals, tracking information and scheduling updates. Optimize lease accounting Streamline lease accounting practices to comply with new standards and analyze the financial impacts: leverage split ledger, out-of-the-box journal entries, calculate NPV, automate accounting tasks. 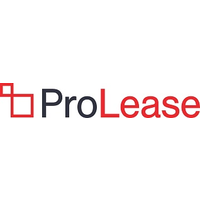 The ProLease Lease Administration module can manage your leased, owned and subleased properties in one integrated system. Angus Systems is a leading provider of customer driven mobile and cloud based work order and operations management solutions for commercial real estate. Through Angus AnyWhere®, Angus Systems helps its clients run their properties to the highest of standards. Today, Angus AnyWhere® supports over 2 billion square feet of commercial real estate across North America in buildings from 20,000 to portfolios of more than 100 million square feet. Please visit www.angus-systems.com to learn how Angus Systems helps its customers shine. Connects seamlessly with your employee directory and other data sources, web-based access with SSO (single sign-on) support, highly configurable and can easily integrate with intranet applications, and Mobile Visual Directory allows you to find people on the go. 360Facility is a suite of easy-to-use cloud-based software products built from the ground up to increase profitability across the entire real estate and facilities portfolio. NetFacilities enables you to manage every asset across all of your locations (buildings/properties/job-sites) and protect your investments from needless failures due to missed preventive maintenance. SmartView is a comprehensive workplace utilization analysis solution that empowers you to make educated, cost-effective decisions about your workspace. It uses state of the art occupancy and presence detection devices with in-depth, interactive reporting dashboards to track, measure, and analyze space throughout your entire facility including individual workspaces. storEDGE is a technology company backed by a team of dreamers, visionaries, perfectionists, and inventors who believe technology can always be better. Created specifically for the self storage industry, storEDGE was designed to level the playing field for independent business owners and bring in the highest ROI for facilities large and small. We are proud to make innovative management software that runs your business, modern websites that hook new tenants, online rental centers that allow customers to serve themselves 24/7, and integrative services to make daily work easier. Cobot is a web-based coworking management application that dramatically eases the everyday administrative tasks to empower space managers, so they can focus on what really matters, time for their coworkers. The multi-award winning EnergyElephant platform provides a simple to use energy management system (EnMS) to help organisations make better energy decisions. With a focus on reducing costs, improving sustainability and simplifying reporting the areas covered include energy and greenhouse gas tracking, target setting, utility bill processing, reporting, analytics and benchmarking. Simply upload a recent energy bill to begin. ISO 50001 compatible. Users include: energy managers, building managers, office managers, campus managers, real estate portfolio managers, CFOs, procurement teams, finance teams, smart cities, hi-tech multinationals, universities, utility companies, engineers, construction companies and energy professionals. The rSchoolToday Facilities Scheduler is the most comprehensive scheduling system available. It provides real-time views of all activities in all buildings and locations within your school or District. With modern, cloud-based software, you can make measurable progress toward your maintenance goals. Facilities Management eXpress (FMX) is a cloud-based, facilities management software solution that enables facilities managers to more efficiently and effectively track work orders, schedule resources, and plan maintenance. The easy-to-use, highly-configurable solution features a calendar view that anyone can use to submit, track, and manage their requests, events, and assets. Facilities owners and managers gain visibility into activities and costs, while building staff and tenants get updated status information on their facilities requests. FM:Interact is an integrated suite of powerful web-based facility management tools that helps organizations improve their space, occupancy, assets, moves, maintenance, leases and property management. Whether your real estate or facilities portfolio is small or large, FM:Interact can help you manage today’s dynamic facilities environments. Supercharge your staff’s efficiency and integrate CheckPoint with our CMMS and create a work order at the time of the inspection. Yes, that’s right – in real time. Need to record APPA standards too? You can! Aren’t you glad you thought of it! The white-label to manage your coworking or shared office space. OrangeQC is refreshingly simple inspection software. We make quality control easy with inspection forms that your team can fill out right from their phones. Then, we automatically collect, organize, and analyze that data to give you powerful insights into your team’s performance. Our ticket and work order system organizes how janitorial and maintenance teams deal with problems and requests. All communication is in one place, so everyone’s on the same page. Things get done quickly and efficiently. Our clients love how we simplify the entire process, including automatically generating reports and analytics they can share with their own clients—or use to win new bids. Every step of the way, we keep things simple and intuitive. We believe the best software is the one that actually gets used. Serraview is a global provider of Saas-based workplace optimization and workforce enablement solutions, enabling CRE professionals to manage and deliver today’s modern workplace. Our solutions are designed to increase real estate portfolio utilization, streamline operations, and enable smarter, more productive work environments. No matter if your workplace is traditional, agile or a combination, our workforce management solutions provide real time insights about your portfolio—insights that can be leveraged to boost productivity and enhance collaboration. Our solutions also have the flexibility to integrate with an existing IWMS system or it can be installed as a singular platform in as little as eight weeks. TMS (Four Rivers) is a facility management folution for the healthcare industry. The ADDA Gatekeeper App is a solution for your housing society's visitor, staff management and security problems. The IoT-driven facilities management software designed to combine CRE portfolio operations in a single beautiful platform. BEIMS has been empowering organisations to take control of their facilities and assets and eliminating the need to handle requests on the fly. BookitWise Room Booking System is an innovative framework which allows the users to make bookings of rooms which also includes meeting rooms, conference rooms, catering and other resources. CenterStone is an integrated web-based solution designed to help organisations manage the cycle of workplace building processes, including space, facilities, assets, leases, work orders and operations. Coherent is an easy to solution that enables organization to easily and efficiently track work order administration, equipment preventive maintenance, asset management functions, and CMMS operations. CompWALK is a cloud-based, online and mobile solution that automates compliance, inspections, and certification operations. Concerto Projects is an easy to use web-based Project Management Solution. It gives organisations the ability to collaborate, plan and execute projects effectively and efficiently. Facility management softwrae that supports a diverse selection of industries. eFacility® works together with your business to provide a complete perspective on facilities operation by bringing together space, people, assets and maintenance into a single system. Elogbooks covers every aspect of facilities and service management. Our easy-to-use cloud-based software can be built to fit your business whether you manage properties, or deliver hard and soft services. e-permits is the electronic permit to work software and work authorisation system that breathes life into your existing paper process, delivering control of contractors and reduced risks. FacilityQuest guides you through collecting, managing, and analyzing data for your facilities. FASTbook is a complete, state-of-the-art booking system that is easily customized for your facility and your specific needs. iLab Operations Software is designed to meet the needs of varying types of shared resource facilities, which benefits the individual core as well as allows the institution to enjoy the full benefit of its investment in core operations. Software that allows a facility to operate with visibility and transparency of information, compliance with regulatory requirements and SLAs, effective cost management, long-term value of assets, and an optimized workforce that creates quality service for tenants and customers. The Lighthouse in the dark abyss of workforce management software that digitally captures your team's field activities to help reduce the time and frustration that comes with proving service to clients. Use WorkStraight to securely create, receive, and track work requests from your team, customers, or outside contractors. Assign work to multiple users, require approval, receive notifications, print work orders, download report data, integrate QuickBooks, asset management, create invoices, manage customers, and more. Optix is a mobile-first platform designed to elevate the way people work and collaborate within their workplace. Powering both #coworking and enterprise spaces. Hi there! Can I help you find the best Facility Management solutions?